This movement beyond metaphysics was a two-fold process. The first involved Nietzsche’s own study of physiology. Christian Emden makes a persuasive case that Nietzsche came to regard physiology so highly as a result of his own suffering. Wracked with headaches, nausea, and poor vision throughout his teaching tenure in Basel, Nietzsche poured through the scientific literature of the day, seeking diagnostic and curative possibilities. His notebooks indicate that he was particularly impressed with the ideas of Friedrich Albert Lange, a prominent philosopher of materialism who studied the physiology of sensory perception. Lange suggested that mental states such as thinking or feeling were the result of physiological functions occurring at the conceptual and preconceptual level. He was particularly interested in the physiology of thought, which he studied metaphorically through an examination of the mechanics of speech. His work theorized that thought is subject to constantly fluctuating bodily stimulation. 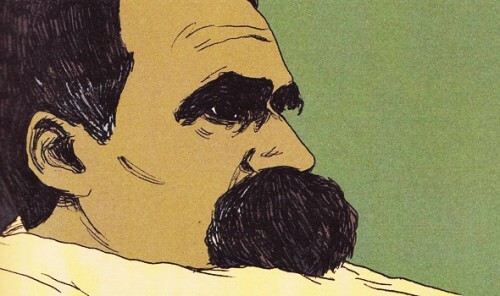 Moving toward the late-1880s, it becomes ever more clear that the ethical and political implications of Nietzsche’s thought are visible in his naturalistic, life-affirming physiology. Although as in his earlier works, Nietzsche weaves in and out of the body and the environment, making decadence both a cause and effect of bodily and instinctual weakness, in his later works he focuses more on the political implications of decadence. Still, though, the body and the will are ever-present, as Nietzsche’s life-affirming philosophy demands (of itself and adherents) contest with temporal sources of weakness. 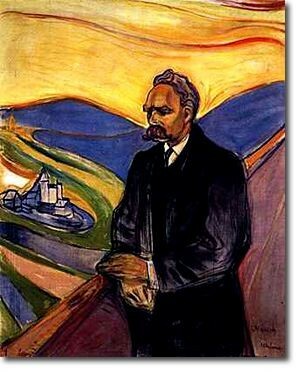 Fostering a noble, affirmative type and challenging modernity are inseparable pieces of Nietzsche’s project; as life involves contest, the path to a noble life demands that one challenge the reactive and decadent forces in life. While he certainly understood transvaluation as part of the undamming of these forces, he also demanded that the body be made to move in order to create most vitally. It certainly seemed to help, as well, that the body move in beautiful environs. Nice, Genova, Sils-Maria, and Torino are striking in their man-made and natural beauty, combining the human nobility he so desired with demanding topographical harshness.